What will happen car sales in China in 2016? Did you know that the world largest car market in terms of number of sales unit is China? China has been keeping the Number 1 position for 7 consecutive years. In 2015, 24.6 million units were sold, while the No.2 was US, 17.5million. 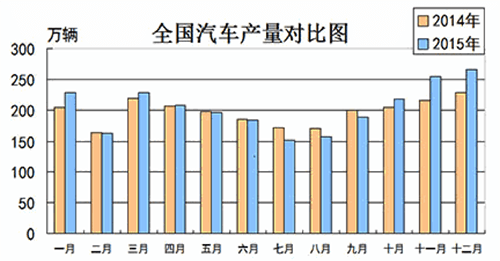 However the growth rate of car sales in China was 4.7%, the lowest in the last 3 years. In fact, as shown in the below monthly figure chart, the sales in the summer of 2015 (blue bar) was pretty disappointing one compared to the 2014 (orange). This is reflecting the lower economic growth and the weak stock market performance in Shang Hai which hit the peak of 5,000 in June, and then dropped to 3,000 in the end of August. Chinese government immediately introduced a sales tax deduction for compact cars, 1600cc or less, halved from 10% to 5% in October, which is worth roughly US$1,000.00. This tax reduction has supported the final quarter of 2015 for car sales, double digit increase over the previous year. Chinese Auto Associations has forecasted the number of sales unit in 2016 as 26.0 million, or 5.9% over the 2015. Many analysts are suspicious about this growth estimate. Reasons are (1) continuing overall weakness of Chinese economy, (2) fragile stock market and Foreign exchange market, and (3) tax reduction for small cars has eaten the future demand and room for further expansion will be limited. When you look at the “year over year” sales growth, the above chart, it is clearly showing a slower growth in the recent 5 years compared with the previous five years. Then what will be most likely to happen this year. Before that I would like to show you a very interesting statistic. Do you know what type of cars are most sold there in 2015? It was Sedan/Compact car categories, 11.7 million units, or 50% of total market. The second was SUV, 6.2 million, or 25% of total market, and the rest are van and commercial vehicle. But when you look these number compared to the previous year of 2014, Sedan/Compact car lost 5%, while SUV sales increased by more than 52%. Yes similar phenomenon we saw in US are happening in China as well. From this year many automakers adopt the new order policy to auto dealers. That is “auto dealers will tell makers what models and how many they want”. This is a very new way of doing so, and if dealers miscalculate their estimate, the unexpected shortfall may happen. Everyone knows that SUV is a hot sale in China, which means auto dealer will most likely to demand car makers to deliver SUV, hopefully small size, less than 1600 cc SUV in order for customer to save money. We should expect a much higher sales number for SUV and a much less sales for Sedan. As a car maker, they have to prepare this shift, and if they fail, that could end up huge damage. 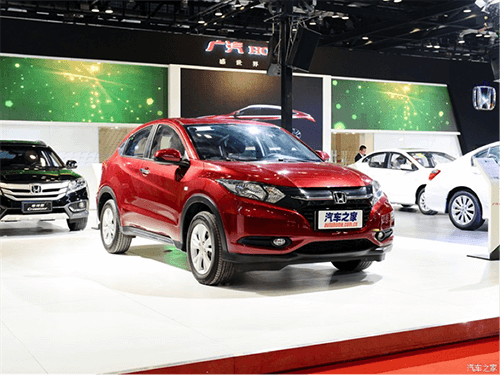 The good show case was Honda, who introduced Vezel, a compact SUV last year, and the sales of Honda reached over 1 million, the record high. or +33% over 2014 figure. Toyota has also made a record sales. Japanese car makers have done generally well in 2015, up 9% form 2014. Chinese domestic makers actually performed better, up 15%. German car makers, which was the most popular foreign car makers but the growth was up only 2%, and US car makers were up 3%. On the other hand who could not capture the trend well was Koreans, down 5%. The stock market in Shang Hai has plunged since the end of December. As of Jan 13TH, the price has gone down below 3000 which has newly hit the low of August last year. It is by far the largest decline among big countries, in less than 2 weeks down 17%, while NY Dow was roughly down 8%, and Nikkei (Japan) was down 10%. Shan Hai Stock Index for 2015. If stock market continues to behave like this, or stabilize at the lower prices, the overall economy will further deteriorate. 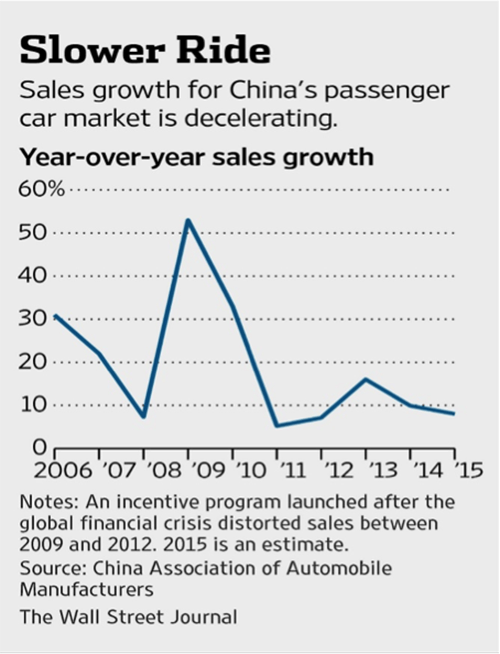 In that case we may see a significant dive of car sales in China. At least this gloomy scenario might come up in front of us. January and February is the slow season for car sales in China, if that is the case we may see a shocking headline of Chinese car sales. This has another implication. If the world largest car sale country perform poor, the overall economy of China will have high risk of all other sectors perform poor too, such as steel, chemical, consumer goods, etc. That is going to affect global economy, then global stock market may reverse its trend. Yes, downside spiral might occur. Now the question is how a car designer should propose the concept under such an environment. It is a very interesting topic, but unfortunately I do not have an answer. Nobody has an answer. But just looking at Chinese car market, a lot of scenario can be imaginable. If China is going to slow down, are there any market to replace it? And propose a concept for that new market is car designer’s job, isn’t it?